RECON 264180AMX 194 1W 5pc Set Amber Bulb LED. Illuminates yellow (amber). 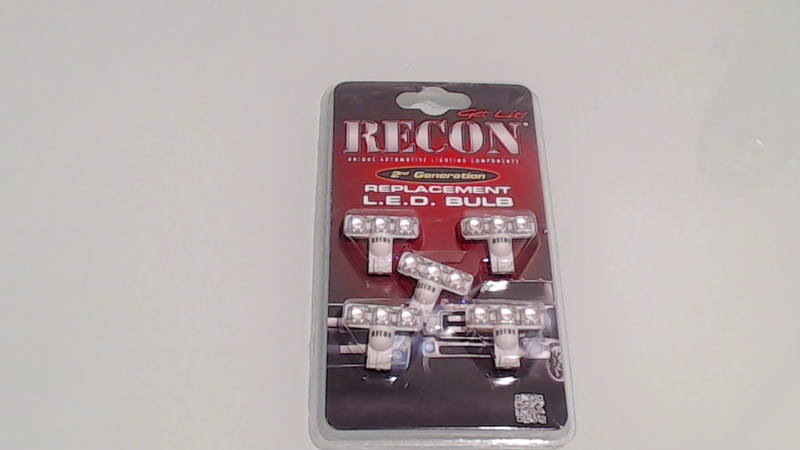 RECON's New 194 Wedge Style LED Ford Cab Roof Light Replacement Bulbs Feature Low Power (wattage), have Built-in Current Limiting Resistors, offer low heat generation, and Long Life - Up to 50,000 Hours. These special T-Shaped LED bulbs replace the halogen 194-style bulbs in all factory installed cab roof lights on all 1999-2014 Ford Superduty F250 F350 F450 F550 & F650 Trucks & all Ford Excursion SUV's & are also a great upgrade when adding RECON smoked, clear, or super white lenses to any existing factory installed OEM Ford cab roof light set.